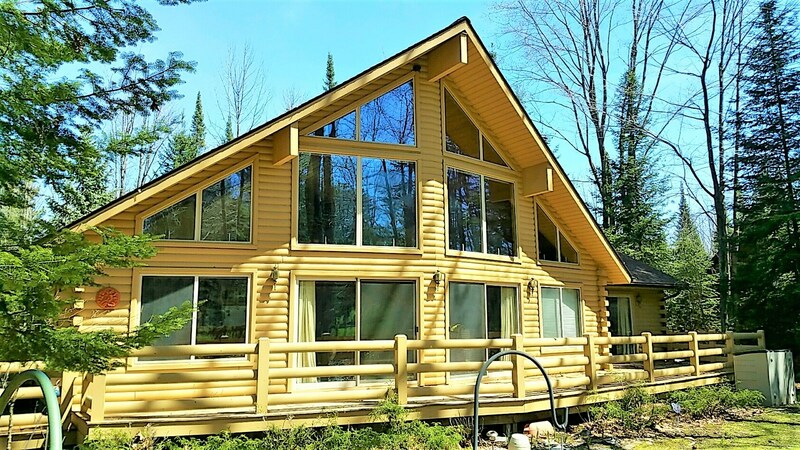 Northern Michigan Log Home and Golf Property For Sale on Thunder Bay Golf Resort. Hillman, MI property located between Alpena Michigan and Gaylord, MI in Montmorency County. Near Atlanta, Mi and the Thunder Bay River, Fletcher's Pond, Grass Lake, Lake Avalon, Ess Lake and Lake Huron. Great home for Income Property, Investment, Vacation, Retirement, Recreation, Golf or year round living. 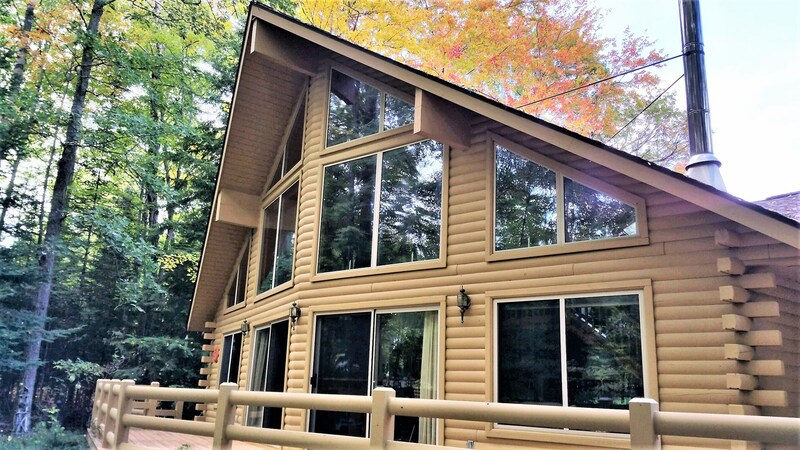 Beautiful custom engineered log home built by the Woodworker's Shoppe located in Comins Michigan. Built in 1996 and completely renovated in 2018, this home features two bedrooms, two full baths and one 3/4 bath. A Large Loft upstairs offers plenty of room to sleep additional people and has its own bathroom. Mostly hardwood floors with some tile, and carpet in the loft. Soft-close cabinets throughout the home built by Bertch USA. Delta faucets and fixtures in kitchen and bathrooms. Kitchen has Granite Countertops, water purification system and new appliances. Extensive decking around the home. New roof 2016 along with being stained and painted. Located on the 8th Fairway of a Par 5 hole on Thunder Bay Golf Resort. This could be a great income property, a place to just stay and golf or your year-round home.